Today, thousands of smart people use SHRINK in their day-to-day life at work. One of the major challenges with the IT administrators is to protect the company’s data and support the mobility their teams want. While this may seem like a two-ended sword, there certain features which can help you play safe. Every now and then, someone from your team would want to request data from third-part entity. This particular activity exposes your team to use other cloud-based platforms which could breach your policies. But then, there has never been a easy way to do this. Till now. 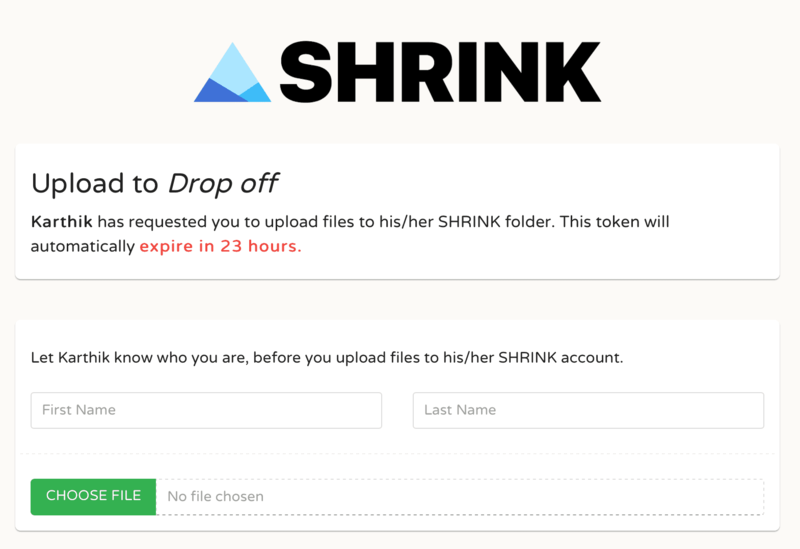 Over the past three months, we have been testing out a new feature called File Drop-off. The new feature, which is now available to all the users, will now allow your teams to request the files from a third-party when the follow the following steps. As always, as an Admin, you have the right to control this feature from the Console. Click on Generate and it’s done. 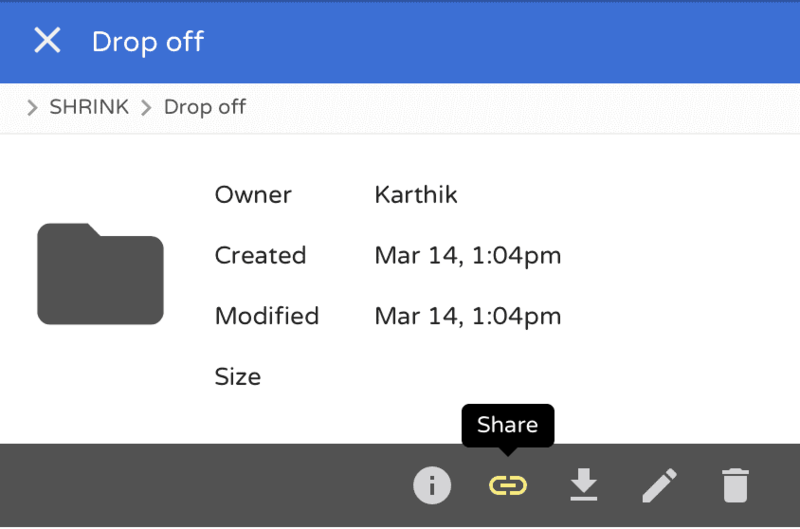 Whenever you generate a File Drop-off link and share it with someone, they will NOT see anything that’s contained in the folder. For security purposes, nothing other than a simple upload form is shared with them, and the physical storage location of the file being uploaded is somewhere completely different from the original Drop-off location. The third-party must enter his/her full-name to let the Admin as well as the requester know who uploaded the file. It’s just a matter of trust. Also, the uploader can see the files they uploaded for that current session. We are making some more improvements to this workflow in the coming weeks. We truly hope this will help you run a smart and secure organization than ever before. As always, our engineering team is working around the clock to answer your queries and as a customer, you might know this already.